A lower elevation leopard frog of desert streams, this species is mostly observed in Cienega Creek preserve north of I-10. This native frog is not endangered but is considered sensitive due to habitat loss, disease, and invasive species impacts. A grassland and mountain species, this frog prefers pond and marshy habitats and was once extremely abundant in the Cienega Valley and surrounding mountains. 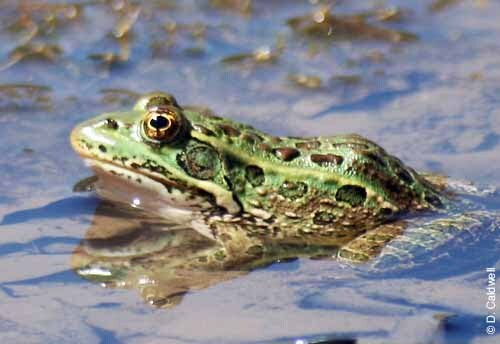 Due to habitat loss, disease, and invasive species impacts, the Chiricahua leopard frog is federally listed as threatened. 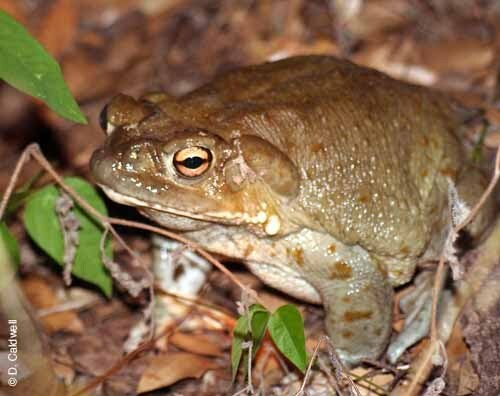 This large native toad is often mistaken for the invasive bullfrog. Toads are different from frogs by their ability to survive away from water. Many toads have mild toxins on their skin to protect themselves from predators. This toad has a bad reputation for poisoning dogs, but a quick rinsing of the dogs mouth with the garden hose is usually sufficient to wash away the secretion. Toads mostly eat insects and spiders. 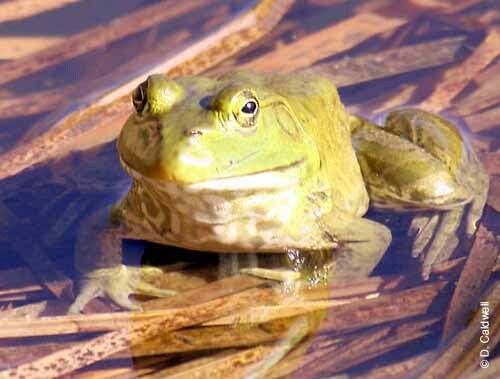 The American bullfrog was introduced to Arizona from Eastern states. This species has proven to be extremely adaptable to our area where it has fewer predators. Bullfrogs eat most anything they can fit into their large mouths. Researchers working along Cienega Creek have documented an incredible diversity of wildlife in the stomach contents of these efficient predators, everything from small insects to birds, bats, snakes, and fish. Bullfrogs can travel long distances during wet seasons and have special adaptations for locating water. 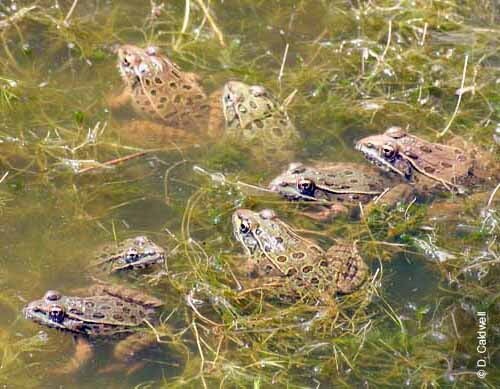 They often carry a deadly frog disease that kills native leopard frogs. Please report any sighting of bullfrogs to our biologists. Some bullfrogs have spotted markings similar to leopard frogs but notice the large ears and the lack of prominent ridges along each side of the back which are present in all leopard frogs. One female bullfrog can lay over 10,000 eggs which grow into large yellowish tadpoles with fine black spots, or punctations. After a few months to one and a half years as tadpoles, they transform into hundreds of 1.5 - 3 inch froglets. This large female bullfrog from Cienega Creek had just eaten a 4-inch Sonoran mud turtle. Bullfrogs are well documented as the cause of decline of several native Southwestern and Western species. Difficult to distinguish from the non-native barred tiger salamander this species is only found in the vicinity of the San Rafael Valley south of Sonoita. It has a tadpole-like larval life stage that emerges from the egg and lives in water until it transforms into an adult. This amphibian is mostly threatened by a deadly viral disease and from habitat loss. 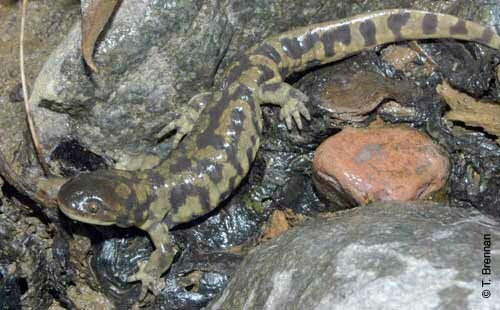 They also face a threat from the introduction of the non-native barred tiger salamander that it can crossbreed with. Tiger salamanders are highly sensitive to the introduction of predatory fishes. Salamanders have a larval stage that has feathery gills along the back of the head. People have introduced this non-native to cattle tanks all over southeastern Arizona in efforts to raise them for fishing bait. 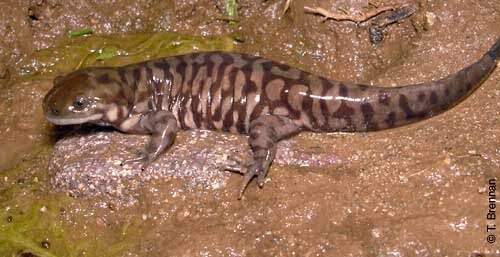 The barred tiger salamander looks very similar to our native Sonoran tiger salamander and has interbred with at a few sites. This species has been found to spread a diseases in our area that kills native frogs.